lack of water in the main hospital block. When the four-storey ward and theatre block was built back in 1984, no header supply tank was installed at the top of the building. The town supply was poor, and the ground level reservoir tank in the hospital grounds was often not able to be filled. The pump from the ground level reservoir kept on breaking. So although there were taps and sinks on the wards, most gave no water, and those few that did only provided an intermittent trickle. Although there are toilets in the ward block, there was no water to flush them. As a result, water had to be carried in from a standpipe in the grounds, and was available from there for an hour each day. including a much improved delivery of water to the hospital compound. This gave the opportunity to do something about the lack of water and sanitation in the hospital. and shower heads throughout the hospital were broken or missing. in the grounds, and was available for an hour each day. Further funding was supplied to run a new pipe from the reservoir to the staff residences, and Dafydd Jones, a plumber from Ruthin, accompanied staff from Glan Clwyd on the visit in 2013. During this visit, he worked with the local hospital maintenance staff and put a working tap in each ward, and shower heads on each floor. 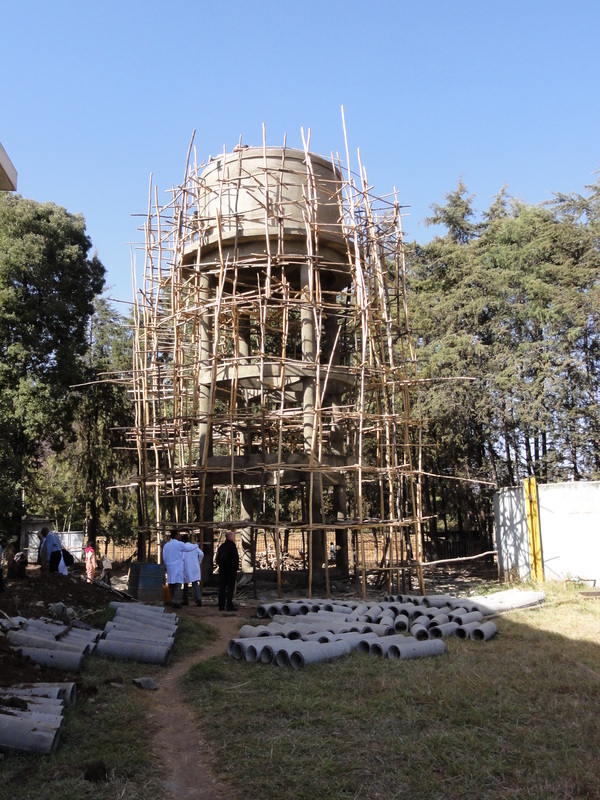 In 2015, the Ethiopian Government Ministry of Health supplied further funds to continue work on the water supply and toilets in the main hospital block, as part of an extensive renovation programme for the hospital. 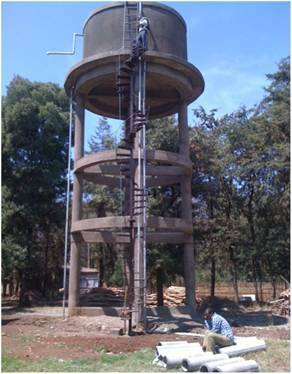 Ethiopia Link provided majority funding for two new latrine blocks in 2014-15, as it was necessary for patients and staff to have such a facility off the ward block. Further details in the infrastructure section.